Hi all, here’s Martin serving some new Informations about the Intune Integration in System Center 2012 Configuration Manager R2 SP1. Hi, here’s Martin again with a short blogpost about the ADFS federation for Intune. The relying party trust in ADFS must be configured with the correct secure hash algorithm. Most SAML applications will support SHA-1 while most WS-Fed applications will support SHA-256. Hi, here is Martin with a Blogpost about the new Feature that has been shipped to the Microsoft Mobile Device Management Solution Intune: Conditional Echange/Sharepoint Access. This means, you are now able to restrict the Access to Exchange Online, On-Premise Exchange and SharePoint Online to Devices, which has to be Intune enrolled. 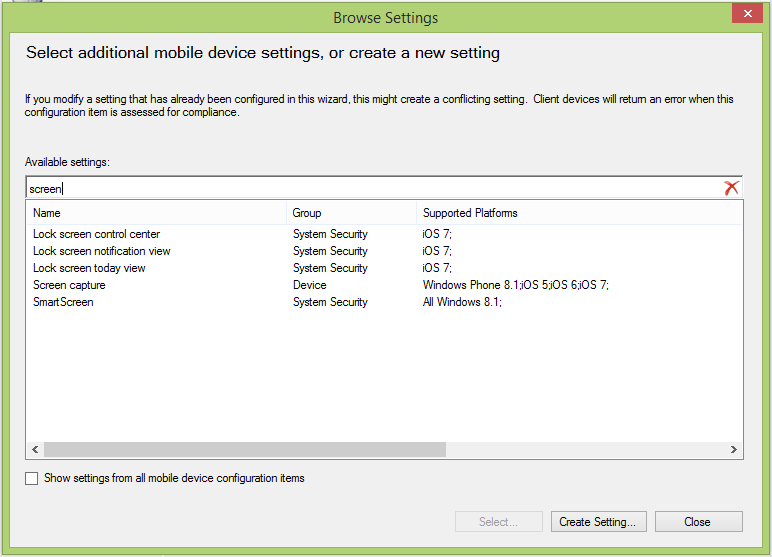 Update: Intune in combination with SCCM currently only allows you to restrict the Access to Exchange Online. Hi there, here’s Martin again.